If you’ve decided that you would like to study next year, whether it’s at a university or one of the country’s Further Education and Training (FET) colleges, chances are that if you wait until January or February to register, you might be left feeling disappointed. Tertiary institutions around South Africa often struggle with huge numbers of last minute applications and with limited spaces available, it’s simply a case of first come, first serve. There are many things that must be decided upon and planned for before you even get to the point of being able to register for tertiary education, and it’s often these very things that become the downfall of prospective students who haven’t planned ahead. First and foremost you have to decide what you want to study. This may seem like a simple task, but there are a lot of factors to take into consideration before you make your final decision. You may have decided you would like to study medicine, but the subjects you took in high school may prevent you from registering for this career path, or you may be unable to afford the tuition fees associated with that field of study. Visit Eduloan’s website to take our career aptitude test to get great suggestions on what you can study here. Having all the correct documentation is also a key factor towards whether you can apply to a tertiary institution or not. Make sure you have your identity document, your school results and any other documentation required along with your application form ready to avoid unnecessary delays with your registration. Accommodation is often a huge factor for students who want to study away from home. Finding a decent place to stay, whether it is in residence, student digs, in a private rental or with relatives or friends, and figuring out what it will cost is of the utmost importance. Another often unexpected cost comes with the textbook list for the course you have decided to register for, and those costs can vary greatly with each course. Try to find out before you register how much your books will cost so that you can budget effectively for them before lectures start in the new year. Tuition fees are often the biggest expense, and the determining factor as to whether or not you will be able to study what you would like to study or not. If you or your family won’t be able to cover the costs of the study fees, apply for finance for your studies as soon as possible. If you are not going to be staying in a residence or somewhere within walking distance of your campus, it’s likely that you will also need to budget for transport. Figure out how much it’s going to cost you for the next year and add that onto your study budget. 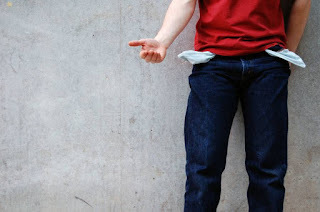 Food is also a massive unforeseen cost for many students – if you don’t budget for it, chances are you might end up in a very difficult situation because you are starving. Make a reasonable estimate of how much your grocery bill might come to in a month and times that by 12 to get the total amount for the year. In the past decade it has become virtually impossible to study without a computer, and that computer will more than likely require internet access. Completing your assignments and doing research on campus will mean restricted use of workstations because of the large numbers of students who don’t have computers of their own. Getting your own laptop may mean the difference between passing and failing. Many students end up dropping out of university before they get the chance to write exams, not just because of high study fees, but the associated expenses of studying that go with it. That’s why it’s important to have a plan that caters for all of these factors. If you need any advice with your financial planning during the registration process, give our customer service centre a call on 0860 55 55 44 or sms “EDU” to 32150 and we’ll call you back within 24 hours.